Joey is one of our senior herd sire here at Star Valley Farm. 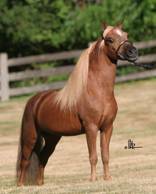 He carries on the tradition of a bloodline with an impeccable show record and breeding reputation. He is remarkable, vibrant and intelligent; example of his amazing heritage. 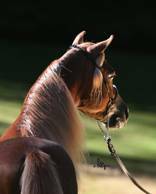 In 1998 he was honored with the AMHA Reserve World Grand Champion Senior Stallion Title and repeated his title win again in 2000, culminating his impressively successful show ring career. Joey was presented with the AMHA Top Ten Get of Sire in 2004 & in 2007. 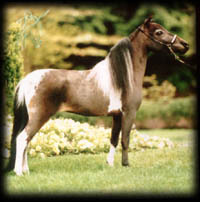 His foals are following in his tracks with numerous titles to their names. They are brilliant, correct, small, typey and athletic. They have excelled on a World, National and Local level in Halter and Performance.